Last spring I was in Paris to run my first marathon, so I was able to bring back small chocolate chickens for my children for Easter! Inside the hollow chickens were little chocolate eggs. (Max's Chocolate Chicken was a fun read to accompany their nibbling!) French chocolatiers make the most wonderful chocolate animals for Easter--not just bunnies, but even chocolate lobsters, dolphins, fish, and seashells! I'm not sure why the ocean theme exists at Easter there, but it's delightful to see the variety of chocolate forms. That said, the French don't hide plastic eggs filled with assorted candies or trinkets as we Americans do--French children only hunt for chocolate eggs. Though I am not a plastic fan, I like thinking of alternatives to candy for our egg hunt with the cousins. For last year's egg hunt, I filled plastic eggs (reused every year!) with Mrs. Grossman's stickers and these charming animal track stamps from Hero Arts. It was wonderful to have a stamp art activity for the children to enjoy after the hunt! This year, I purchased small (solid!) dark chocolate bunnies from Moonstruck, a quality chocolatier based here in Oregon. (If I'm going to give my children chocolate, I'd like it to have quality ingredients.) And this year our egg hunt will feature creative little architectural stamps and garden stamps from Princeton Architectural Press. Their Stamp Garden set was just released as a follow-up to their amazing Stampville set, which I first saw featured on The Artful Parent blog. 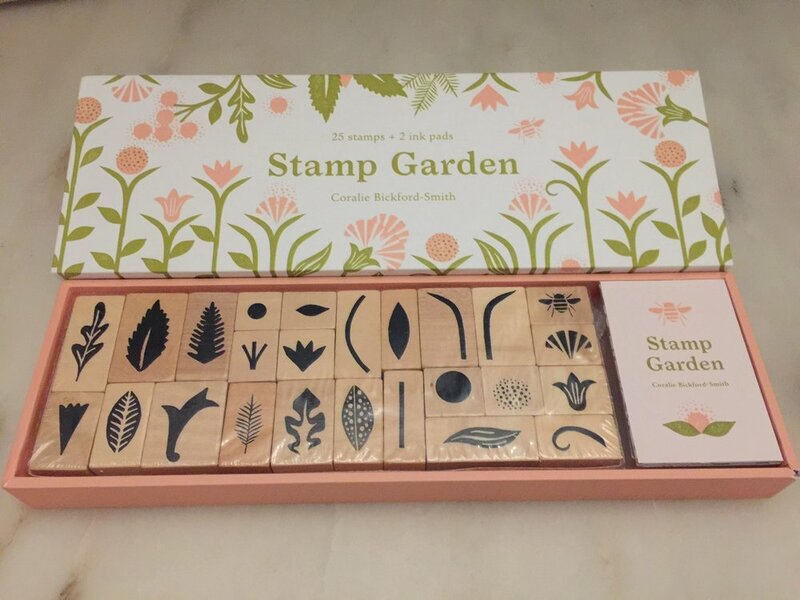 The new garden stamps are perfect for spring art projects and I think it will be fun to make cards alongside the kids. Here's wishing you a delightful, sunny Easter weekend! Joyeuses Pâques! This post contains a few Amazon Affiliate links. Princeton University Press provided stamps at my request. Merci for supporting Intentional Mama!